translation | Open Our Eyes, Lord! Here is my own translation of 2 Thessalonians from the original Greek, which I produced over a long period of time as part of my Zondervan Exegetical Commentary on 1-2 Thessalonians. The book may be purchased from Amazon and now on pre-pub from Logos. Zondervan had asked that I provide an “expanded” translation. One thing to note about this letter is that it cites the Old Testament much more than does 1 Thessalonians; we mark it with red ink. ONE: 2 Thess 2:3 says that “the Day of the Lord will not come if there has not first come the Apostasy [from the Greek apostasia] and the Man of Lawlessness has been revealed.” Some translate the word apostasia as the rapturing away of the church, but this is untenable. This passage is no proof of some pretribulational rapture before the tribulation. See proof HERE. TWO: 2 Thess 2:6 says “and as you know you know what it is that restrains the Man of Lawlessness…only the one who restrains it will do so until he is taken out of the way.” Many Christians automatically assume that the restrainer is the Holy Spirit, present in the church. This is by no means clear; I lean toward the view that it is a powerful angel (see Dan 10:13 – “The prince of the kingdom of Persia withstood me twenty-one days, but Michael, one of the chief princes, came to help me, for I was left there with the kings of Persia”). THREE: Some versions translate 2 Thess 3:11 and import their own ideas of what was going wrong in the church. For example, the Good News Bible says that “we hear that there are some people among you who live lazy lives and who do nothing except meddle in other people’s business.” In fact, the text does not mention laziness at all; the word is best translated “in a disorderly manner”. 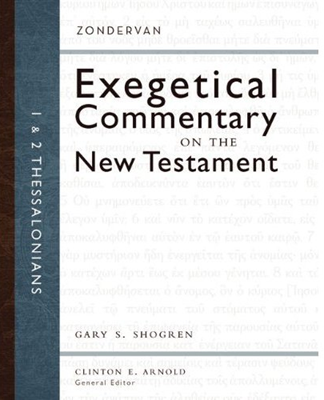 I invite you to read my own “expanded” translation of 1 Thessalonians from the original Greek, part of my Zondervan Exegetical Commentary on 1-2 Thessalonians. The book may be purchased from Amazon and now on pre-pub from Logos. While the commentary is based on the Greek text, we place a great deal of emphasis on how the pastor might preach the epistle, and how it might be applied to today. Zondervan asked me for this type of translation, as will be seen in 1 Thess 1:3 where I unpack “your work of faith and labor of love and steadfastness of hope” (so the ESV). ONE: “Without fail we remember before God your work that arises from your believing, and your hard labor that comes from your love for others, and your endurance that comes from the hope you have, faith, love and hope in our Lord Jesus Christ as you live in the presence of God our Father” (1 Thess 1:3). I render “love” as “love for others” rather than love for God. In these letters Paul speaks much of mutual love, and I believe he is concerned about the sign of the end times when “the love of many will grow cold” (Matt 24:12). TWO: 1 Thess 1:9b-10 I take to be an outline of Paul’s gospel, one that the Thessalonians would have memorized. It is thus similar to his preaching outline in 1 Cor 15:3-5. THREE: “We took the position of little children among you” (1 Thess 2:7). Most English versions have “we were gentle” among you. The difference between the two readings is based on the Greek text: the oldest manuscripts have the Greek nēpioi, “little children”. The majority of the manuscripts have ēpioi, “gentle”. When read aloud they would have sounded exactly the same, and this is what led to two readings. By “little children” Paul means that his team did not use adult guile to deceive his audience. FOUR: “We who are alive and remain will be taken up together with those who were dead in the clouds to welcome the Lord in the air” (1 Thess 4:17) I translate the word apantēsis as “welcome.” The word was commonly used when a king or dignitary was going to visit a city, and the inhabitants went out to meet him and accompany him back. That is, the saints will ascend to meet Christ and then accompany him back to the earth at the beginning of his kingdom; this would all take place at the very end of the tribulation. I see no proof in the passage that the rapture will take place before the tribulation. See article HERE. We will share the translation of 2 Thessalonians in another post. Click here to read Part I, which is necessary to understand this Part II. 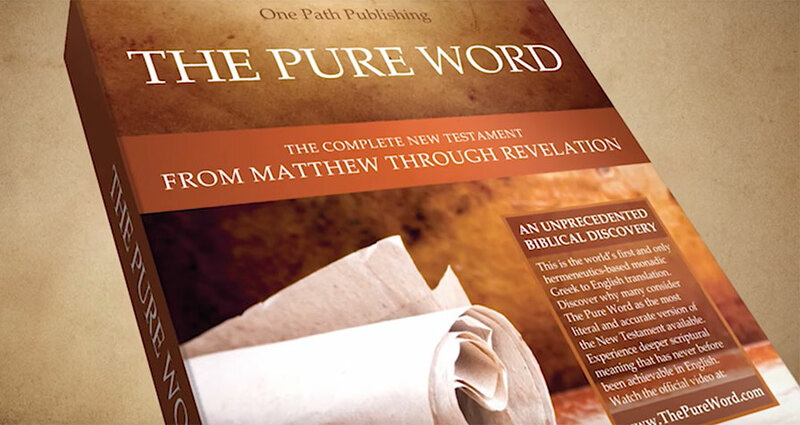 As the evangelical community turns to CBMW for trusted counsel on contemporary Bible translations that are faithful and accurate in their rendering of gender-language, we will continue to point them to the many translations available today that do a better job than the TNIV and new NIV (2011) – translations like the Holman Christian Standard Bible (HCSB), the New American Standard (NASB), the New King James (NKJV), and the English Standard Version (ESV). I do not agree with the CBMW’s position, but I appreciated the measured attitude. The Bible teaches a masculine Godhead…. [But feminists] have fabricated their own theology that attempts to portray God as having a feminine side. Nothing could be further from the truth. The Bible speaks of God the FATHER, and of Jesus Christ the SON, and of the Holy Spirit Who is referred to with the pronoun HE in the faithful King James Bible (John 16:13)…The NIV 2011 attacks the masculine authority of God, the ruling husband, and the authoritative preacher. The Devil’s feminist, homosexual, abortionist crowd wants to produce a unisex Bible that doesn’t condemn the sin of homosexuality. The NIV 2011 attacks the masculine authority of God…The NIV 2011 is evil, catering to the homosexual agenda. The new gender-inclusive NIV…contains thousands of changes to the Bible’s male-gendered language. Having a gender-inclusive Bible appears to be the latest trend amongst cutting-edge, cappuccino-slurping Christian hipsters. And while I dislike posting another site online, the page http://www.jesus-is-savior.com/ is about the worst example I have seen of disinformation, ignorance, exaggeration, backwardness, and uninformed writing that I have seen with respect a whole range of themes, and to Bible translating and the NIV in particular; I mention the site because, unlike most reputable bloggers, they do not provide any means for people to comment on their posts – otherwise I would have interacted with them on their own turf. Now, when people say that a Bible is “evil” and the work of Satan, they had better tread with extreme caution. If you dislike a particular version – as does the CBMW – that’s fine; but you had better do your homework. You had better be certain that God stands with you before holding up a Bible and calling it a product of hell or, as one site instructs its readers, to use the Bible as “toilet paper”. This is God’s precious Word we’re talking about. Search for comments on the new NIV by Google, and you will find bloggers talking about its “feminist agenda”, “Satan’s lies”, “end-time deception” and that “the homosexual community is excited about the new perversion of the Bible.” (They provided no statements from gay groups, expressing their glee). At its annual convention last year, the Southern Baptist Convention went so far as to condemn “this inaccurate translation of God’s inspired Scripture”, implying that it does so because as Baptists they believe that God’s Word is infallible – and by implication the NIV is not. What’s the fuss? After all, every Bible version is updated and revised over the years; these revisions do not imply that the message of God’s Word is being altered: the NASB of today is not the original, but the 1995 revision. Nor is the “original” King James the 1611 version; it was updated continuously over the centuries. The ESV wins the prize: it was a revision of the National Council of Churches’ RSV (1971 edition); the ESV was published in 2001, revised in 2007 and revised again in 2011. 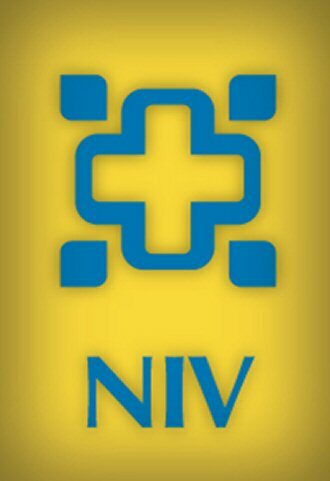 The NIV itself was revised in 1984, and hardly anyone noticed. 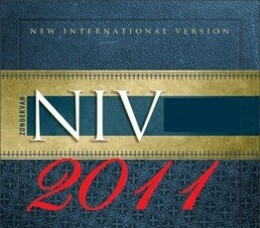 But few updates have caused a stir as the NIV 2011 has. I’m not capable of evaluating the whole edition; nevertheless, for the last decade I have worked closely with the Greek text of 1 Corinthians, writing a Spanish-language commentary for CLIE publishers in Barcelona, Spain; my comments therein are based on the Spanish version of the NIV, called the Nueva Versión Internacional (NVI). Therefore, I do regard myself as qualified to evaluate the NIV 2011 rendering of 1 Corinthians, and I will do so with reference to NIV84, the Nueva Versión Internacional, the Nestle-Aland 27th edition of the Greek Testament [which is identical to the newer 28th edition] and other translations. Since 1 Corinthians is a long book, we will look just at chapters 1-7. I happen to believe that calling a Bible “satanic” is a fantastically grave act, and one that must be backed up with a careful evaluation of evidence, not with broad-brush comments that it is a “politically-correct perversion”. I’ve gone through and compared 1 Cor 1-7 word-for-word and will mark the important changes in the NIV 2011 as an improvement on the 1984 version, inferior to the 1984, or equal to the 1984. Other alterations, which are not listed, are mere changes of order or the substitute for one word for another (for example, “in” becomes “within” in 1 Cor 1:5). Part II of this essay will deal with the hot button issue of gender and the use of English pronouns in Bible translation; here in Part I we will deal with everything else.